The Makena is a relatively new development along Meyer Road. This condominium has great facilities, a mini-mart, a clinic, a laundry, a cafe and an enormous lap pool. Most of the units have a small balcony, marble living, dining and bathrooms. High floor units enjoy panoramic sea view. The Makena is 5 minutes drive to Suntec City and Raffles Place (Singapore’s financial district). Orchard Road is within a 10 minutes drive away via the East Coast Parkway or the Nicoll Highway. It is near the East Coast beach, seafood restaurants, Parkway Parade Mall and eating outlets. Largest plot on Meyer. Full condo facilities including family clinic, cafe, mini mart, laundry mart & beauty salon. Short drive to city/ CBD ; close proximity to amenities at Parkway Parade & Katong I12 as well as restaurants offering both local and international cuisines. Best of all, it’s an underpass away from East Coast Park. Biggest Free Hold Land along Meyer road, with full of greenery and 3 Minutes walk to upcoming MRT. It is sun sand and sea living. The Only Project with Minimart, Bakery , clinic and laundry facilities. 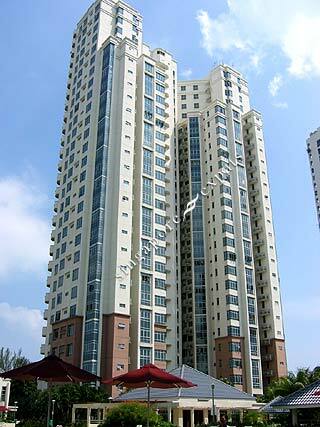 Full Condo Facilities including Squash Court which is very rare now. Close to Canadian Int'l and good local schools. Walk to East Coast by Under pass. BEAUTIFUL SEA VIEW FROM ALL ROOMS.....WALK TO ECP ...SHUTTLE TO KALLANG LEISURE PARK AND STADIUM MRT (CIRCLE LINE) .....VERY GOOD CONNECTIVITY BY BUSES 12,14,196,36,48 ...BUSPLUS TO RAFFLES....MINI MART,DOCTOR,BAKERY,LAUNDRY WITHIN THE CONDO ...FULL FACILITIES -LARGEST SWIMMING POOL IN THE EAST COAST ...TENNIS COURTS,BBQ PITS, PLAYGROUND,GOLF PUTTING,SQUASH COURT,GYM ...GOOD FAMILY CROWD ....QUIET & SERENE .